Associated with wrath, gambling and, at the symbolic level, with darkness and misery, sura has been strongly condemned in Vedic literature. Yet, paradoxically, it has not just found its way into a Vedic sacrifice itself: called sautramani, but has even been sanctified in the rajasuya and punarabhiseka rituals as well. However, it is sautramani's sacrificial fire alone to take in liquor as an oblation material. 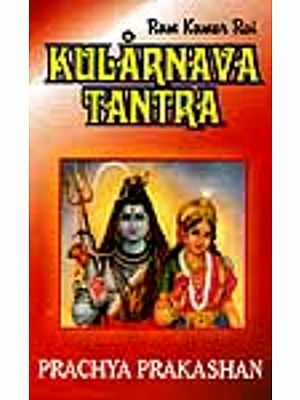 Dr. Madhavi Kolhatkar here offers an indepth study of this sura-related Vedic ritual: of both its caraka and kaukili forms, together with all their attendant details. The book explores the possible origin and nature of sautramani sacrifice, addressing itself to a range of the hitherto-unanswered questions, for instance; How did sura come to have its acceptance in a srauta ritual (like sautramani), despite its outright disapproval in the Vedic texts? Why is the sautramani performed after rajasuya? Is there any linkage between sautramani and punarabhiseka  which both happen to involve the sura-ritual? 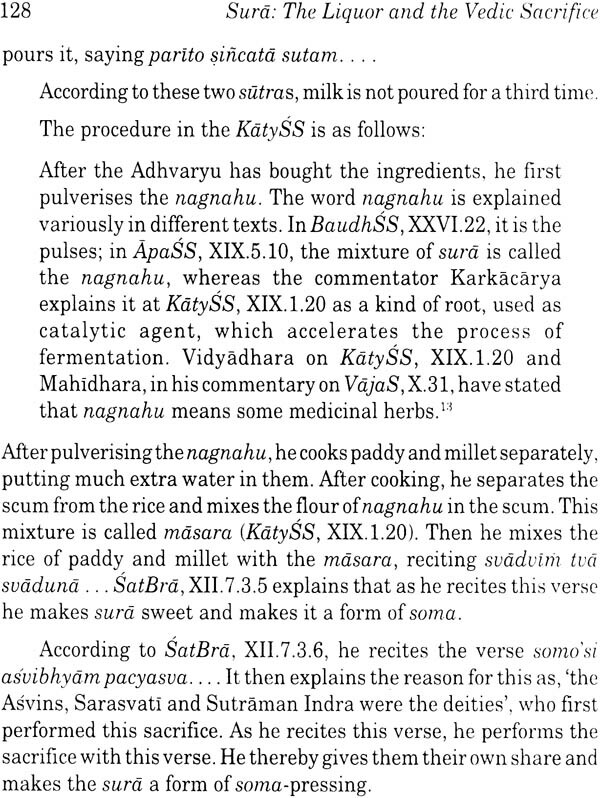 How is, then, sautramani related to the agnicayana? And, what is the underlying importance of the myths that tell about the primeval performance of the sautramani? In spelling out the social, medicinal and ritualistic significance of sautramani, the author also shows how the Brahmanas often compare it with a soma sacrifice, and how sautramani itself has evolved over the time. In the context of this Vedic ritual, she also highlights the hierarchic contentions between the brahmanas and the ksatriyas in the ancient Indian society. It is a piece of valuable research for Indologists, especially the scholars of Sanskrit, Vedic studies and ancient Indian history and culture. Madhavi Bhaskar Kolhatkar is Pune University's Ph.D (Sanskrit); knows German, Russian, Tibetan and Japanese; and has been at Nagoya University, Japan for her postdoctoral research in 1986 on a Japanese government scholarship. In 1987, she visited Nepal to participate in Gurumandalapuja  a project undertaken by the Department of Indian Philosophy, Nagoya University, Japan. Started her career in 1973 as a Research Assistant in Sanskrit Dictionary Department, Deccan College, Pune. A Research Associate, 1985 onwards, Dr. Kolhatkar has published over thirty articles on a variety of themes bearing notably on Vedic ritual, religion, Japanology and Sanskrit literature, and has co-authored Pavitresti: An Indian Fire Ritual. 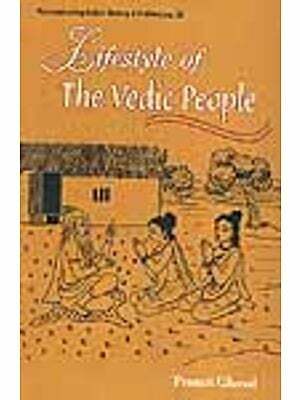 It gives me great pleasure to introduce the work Sura, The Liquor and the Vedic Sacrifice. 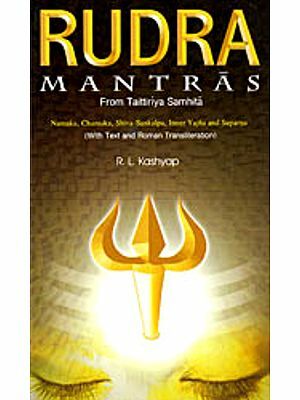 During the last few years, many scholars have written books on various Vedic rituals such as rajasuya, caturmasyas, pravargya, etc. in this line of the research-work, the present book on the sautramani sacrifice is a welcome addition. The offerings of sura (liquor) in the Srauta sacrificial fire is the distinguishing feature of the sautramani sacrifice. It is claimed in this work that the punarabhiseka (the reanointment) might have been the origin of the sautramani sacrifice. This punarabhiseka has its roots in the struggle for supremacy between the brahmanas and the ksatriyas. It is of a redressing nature, as it were. It is performed for a ksatriya sacrificer  the King himself  who has undergone the abhiseka (anointment) rite in the rajasuya sacrifice. Since he has temporarily become a brahmana during the sacrificial performance, he performs this punarabhiseka ceremony and attains his ksatriya-hood again. 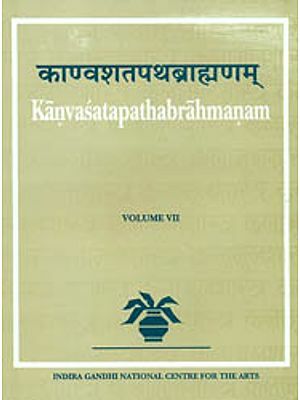 The present work highlights the sociological state of affairs in the Vedic period with special reference to the mutual relation of the brahmana and the ksatriya in the context of the rajasuya, the punarabhiseka and the sautramini sacrifice. In ancient India, there was a constant rivalry between brahmana and ksatriya for the superior position. 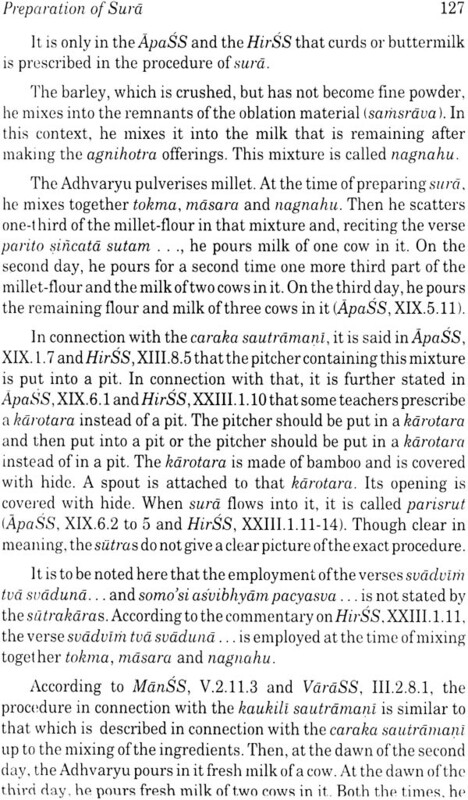 As a result of it, the ksatriya sacrificer was denied the right of partaking of the sacrificial soma-drink in the rajasuya sacrifice and was given sura instead of it. Similarly, in the punarabhiseka ceremony also, he was given sura as his own drink. Thus, the sautramani sacrifice plays an important role in the medicinal, sociological and ritualistic way of thinking of the Vedic people. I could like to specially draw the attention of the readers to the anthropological importance of the myths. The myths in the Brahmana-texts are very closely connected with the sacrificial ritual. In the present work, due emphasis has been given to the myths and an effort is made to explain the mythological background of the sautramani sacrifice. I am of the opinion that the author has been quite successful in dealing with the complicated ritual procedure, as well as the conceptual background of this sacrifice in the Vedic texts. 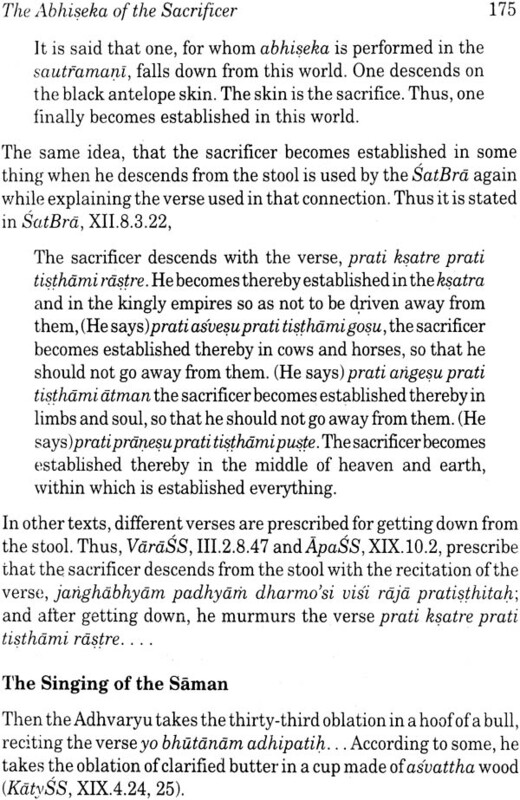 The Srauta ritual comprises two sacrificial institutions: (1) The soma-sacrifices and (2) The havis-sacrifices. This division is based mainly on the oblation-material used in a sacrifice. It is obvious that in a soma-sacrifice, the main oblation is the juice extracted from the soma-stalks. 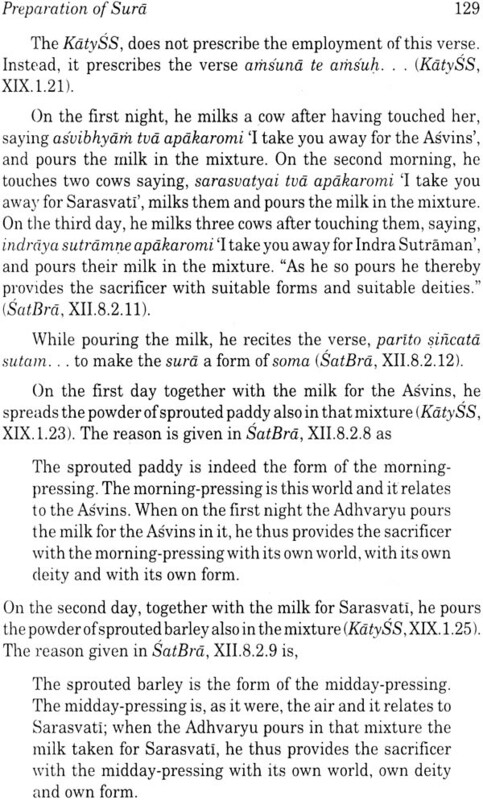 In the havis-sacrifices, the oblations are given of milk, curds, ghee, clarified butter and various grains. Paddy, barley, wheat, syamaka, etc. are the sacrificial grains. Generally, rice pap or a cake made of the flour of the sacrificial grains is offered in havis-sacrifices. Sometimes, the grains are parched and the pop-corns are offered. An animal also is an oblation offered in havis-sacrifices The animal-sacrifice is called the nirudhapasubandha. Besides the difference in the oblation-material, there are some other differences also between havis-sacrifices and soma-sacrifices. More priests are needed in a soma-sacrifice than in a havis-sacrifice. Further, the singing of the saman and the avabhrtha isti are peculiar to a soma-sacrifice; these are generally absent in the ritual procedure of a havis-sacrifice. Among the havis-sacrifices is included the sautramani-sacrifice. It has two forms: (1) The caraka and (2) The kaukili. The caraka is performed after the rajasuya and also after the agnicayana (the rite of building the fire-altar). Occasionally, it is performed also for one who has vomited soma (somavamin) or for one who is excessively purged by soma (somatiputa). The kaukili is an obligatory (nitya) rite. Incidentally, it is performed for a somavamin or a somatiputa. It is prescribed also for the fulfillment of certain desires. The oblations offered in it are those of rice, milk, clarified butter, etc. Animal-offerings also are to be made in the course of its performance. Three animals are offered to the asvins, Sarasvati and Indra Sutraman, and it is called both an isti and a pasubandha (animal-sacrifice, SatBra, XII.7.2,12,21) Besides these offerings, sura is also offered in this sacrifice. Sura is a kind of beer prepared from grains. Three cups are filled with it and are offered to the abovementioned deities. Sura, as we find it, is condemned in Vedic literature. It is grouped together with wrath, dice, etc. and is held to be the reason of various offenses and guilts, (RV, VII.86.6). In SatBra, V.1.2.10 in the discussion regarding the vajapeya sacrifice, sura is compared with the soma and it is said that soma is truth, prosperity and light, whereas sura is untruth, misery and darkness. Similarly, in KathS, XII. 11 and MaiS, II. 4.2 Also sura is said to be untruth. Further, in KathS, XII. 12 and MaiS, II.4.2, sura is said to be unwiseness, thoughtlessness or foolishness of Prajapati. It also said" 'due to such nature of sura, the elder one and the younger one, the daughter-in-law and the father-in-law chatter foolishly after drinking it. Therefore, a brahmana should not drink sura. If he does so, he brings himself in contact with the evil. However, despite such severe condemnation, sura has found a place in the Vedic ritual. It is used in some grhya rites: AsvaSS, II.5.4 prescribes that together with other oblations, sura also should be offered to the wives of the fathers. Also, the women present at a wedding or at an anvastakya sraddha are to be regaled with sura (AsvaGS, II.5.5 and also SankhaGS, I.11.5). Sura is found used in the Srauta ritual also. In the vajapeya sacrifice, seventeen cups of sura are drawn, they are shaken on the marjaliya dhisnya and then are partaken by some priests (ApaSS, XVIII. 7.2,4, 8) or the Nestr buys the cup of madhu in exchange of these sura cups (KatySS, XIV. 4.16). 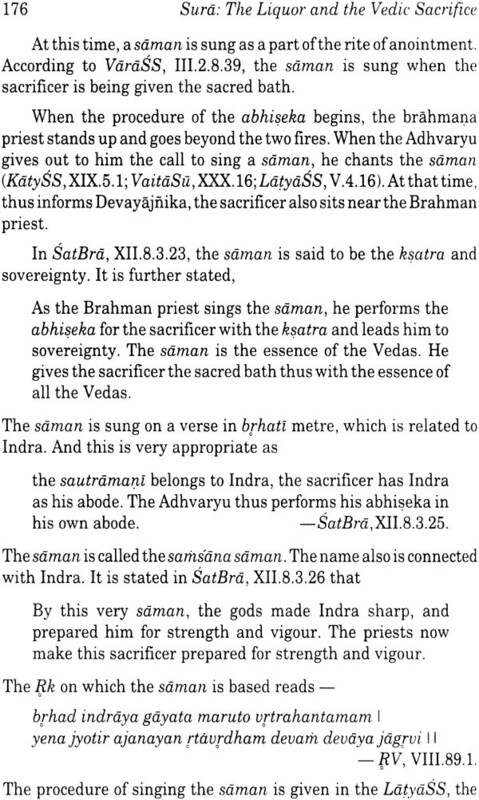 According to the AitBra, the sacrificer is given the sura drink in the ritual of the rajasuya and also in the rite punarabhiseka, which is perfomed at the end of the rajasuya. And also in the rite punarabhiseka, which is perfomed at the end of the rajasuya. Remarkable is the glorification of it in the rajasuya, where It is said that sura gives, just like soma or any other food, pleasure and peace especially to a ksatriya sacrificer (AitBra, XXXIX 6). However, it is only the sautramani sacrifice, in which sura is offered and even consumed by the sacrificer and also by the priests. Interesting it is yet that, the same texts, which have condemned sura, have glorified it in this context. Thus, it is stated in MaiS, II.4.2 and KathS, XII. 12 that the ksatriya is born from sura. He should be told this brahmana (portion) that one, who knowing this drinks sura does not get harmed by it. Sura is the vigorous form of Prajapati; Prajapati himself is vigour. He thus places vigour in himself. Also, sura is said to be food, sacrificial food in MaiS, II.3.9 and KathS, XII. 11. Besides the use of sura, there are certain other peculiarities also in the ritual of this sacrifice. 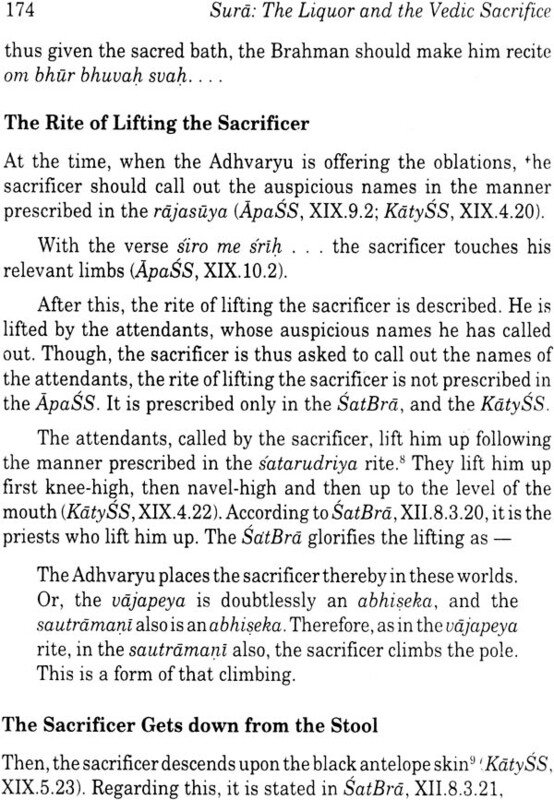 The avabhrtha, which is performed generally after the soma-sacrifice is performed in this rite. It is found introduced in both the forms, the caraka and the kaukili. 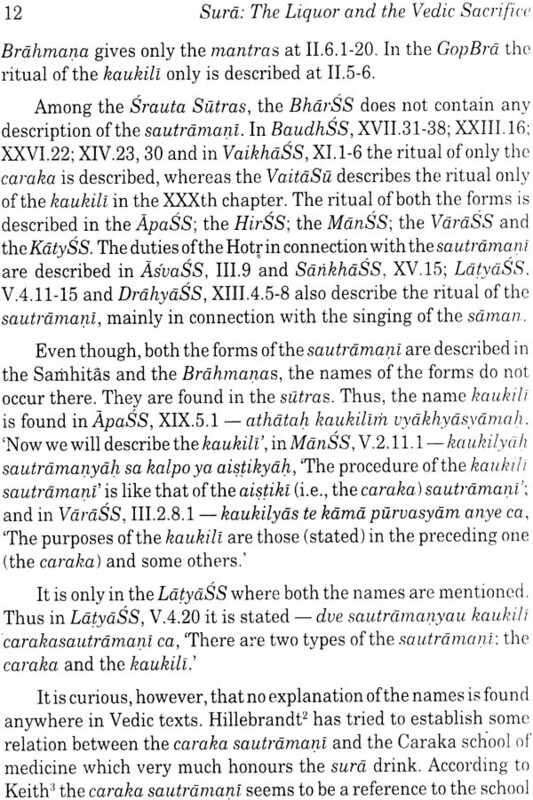 Similarly, the singing of the saman, which is a speciality of the soma-sacrifices is also prescribed, by some texts, in the ritual of the kaukili sautramani. The same tendency of establishing the similarity with soma is found in connection with sura also, which was, it should be noted, put in contrast with soma in connection with the vajapeya-sacrifice. In the SatBra, the ingredients of sura are metaphorically said to be the stalks of soma. The various acts in the procedure of the preparation of sura are compared with the various acts in the procedure of preparing the soma-juice. 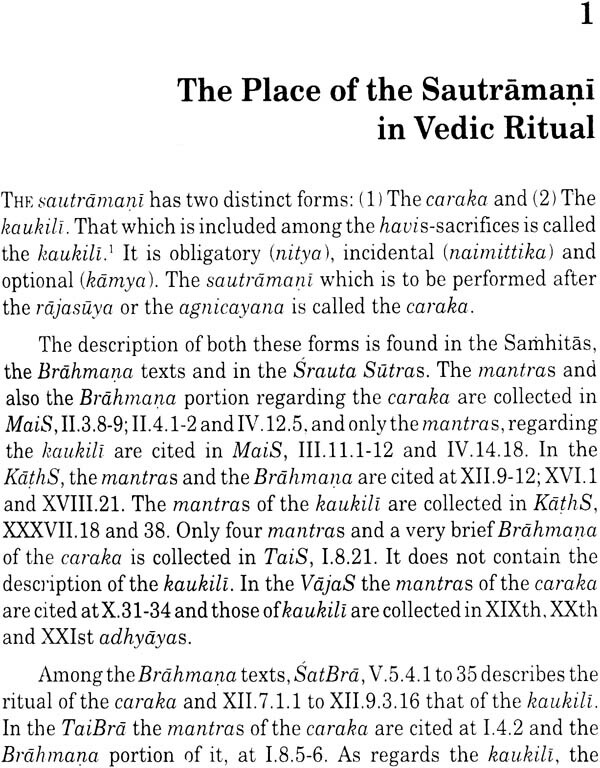 Further, the ritual of the sautramani itself is compared to that of the soma-sacrifice. It is said to be not less than of the soma-sacrifice itself (SatBra, XII, 8.2.21). It is no wonder then that these peculiarities of the sautramani-sacrifice have caught attention of the scholars. It is found described by Keith, Hillebrandt and others. Weber also has discussed it in connection with the rajasuya. 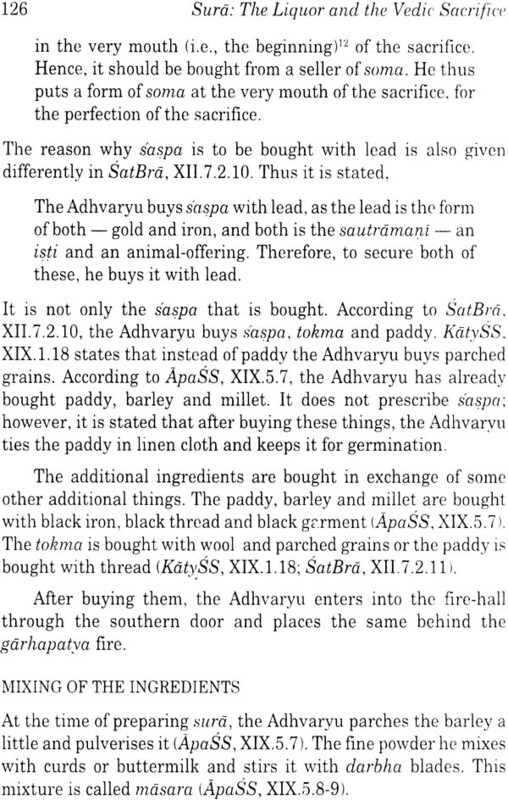 G. Dumezil in his book Tarpeia has made a detailed study of sautramani. He has suggested that the ritual of sautramani has a close similarity with the Roman rite Suovertaurilia. 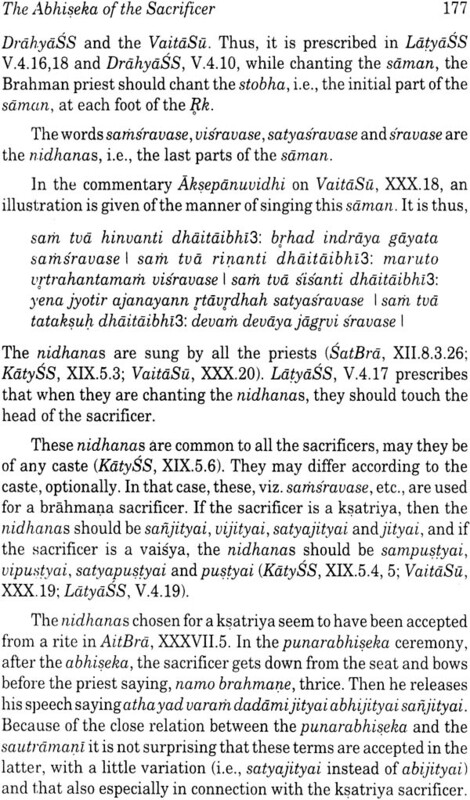 Gonda has written a very valuable monograph on the mantras used in this sacrifice. Many scholars have studied, particularly the myth cited in connection with the origin of the rite and some of them have expressed their opinion about the origin of the rite based on the interpretation of these myths. (1) How is it that the sura which is severely condemned in Vedic literature is accepted in the Srauta ritual? (2) Why is the sautramani to be performed after the rajasuya? and the sautramani, since both of them contain the sura-ritual? 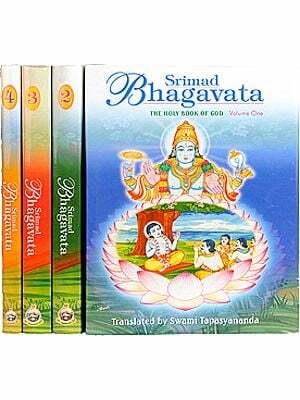 (3) What is the exact relation between the agnicayana and the sautramani? 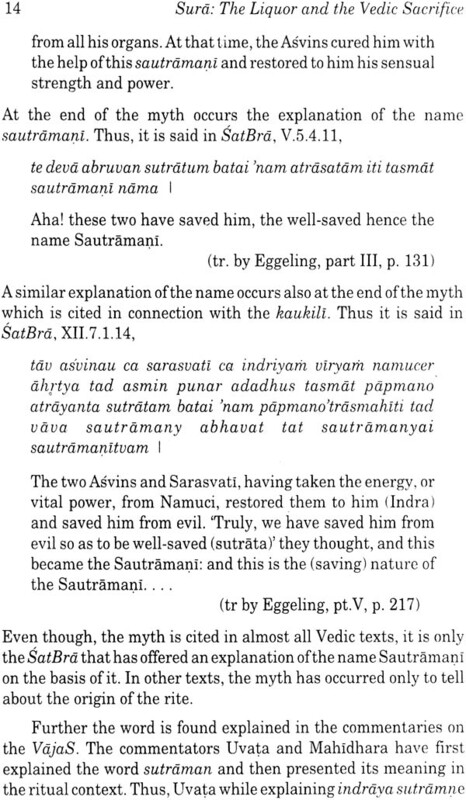 (4) Why is the sautramani performed as a medicinal rite for a somavamin or a somatiputa? Similarly, among the myths cited in connection with the origin of the rite, only one particular myth is often taken into consideration by scholars and therefore, the correlation of that myth and the ritual has become lop-sided. The interpretation of other myths is really essential for understanding the full significance of the often discussed myth and the sautramani ritual. This situation raises one important question viz. what is the purport of the myths which tell about the primeval performance of the sautramani? Consequently, I have tried here to offer answers to the questions which are related mainly to the origin and the nature of the sautramani-sacrifice. These answers from the first part of my work. In the next (i.e., the second) part, I have tried to give an account of the ritual procedure of the sautramani, of both the caraka and the kaukili. 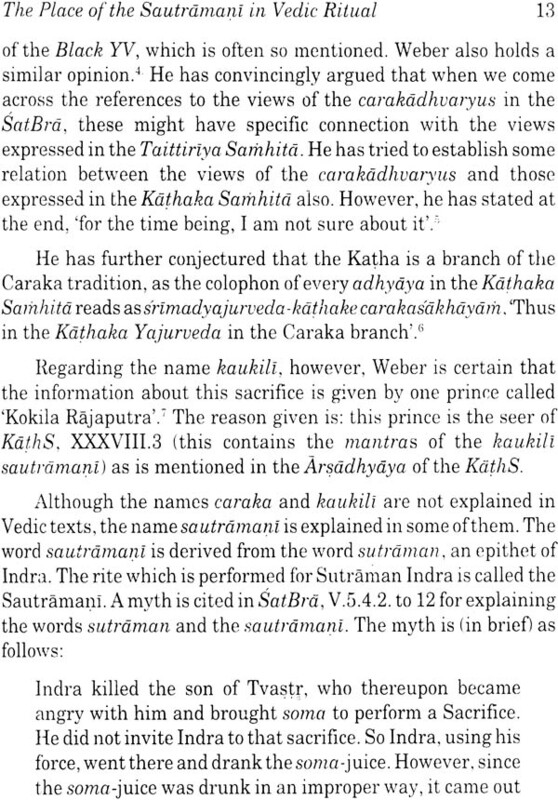 Weber has taken into consideration the ritual of the caraka which is described in the KatySS, the AsvaSS and the SankhaSS; he has discussed it in connection with the rajasuya. The detailed description of both the forms is arranged in the Srautakosa also. This work gives a detailed account of the ritual in the sutras one after another. However, it has not dealt with the ritual description and the explanations occurring in the Samhitas and the Brahmanas. Further, one finds it difficult to get a clear idea of the differences or similarities which are found in the sutras in respect of the different rites in the ritual procedure of the sautramani. Therefore, it was felt necessary to discuss the ritual which we find in the Samhitas and the Brahmanas and also to rearrange the ritual described in the sutras. With this purpose in view, I have taken into consideration one rite after another and have tried to note the various procedures found in different texts and traditions. The ritual of the preparation of sura, I have dealt with separately and have compared it with the procedure of its preparation found in other civilizations. It must be stated, nevertheless, that my task would have been much difficult without the help of the Srautakosa. Then I have noted the differences between the two forms of the sautramani and have mentioned, in the concluding chapter, the social and ritual significance of the sautramani and its place in the Vedic ritual as well. I have tried to trace out the development and the changes in its ritual also. Indira Gandhi National Centre for the Arts & Motilal Banarsidass Publishers Pvt. Ltd.